In the last ten years, Glen and I have had to say our final farewells to several relatives (including parents). They ranged in age from late 70's to early 90's at their passing. It is never easy to lose a parent in particular, but we did learn a lot about what it means to age. It's not just about loosing your looks. In our fast paced techno world, a senior can become very isolated unless we take a moment to reflect on the many life changes they face. 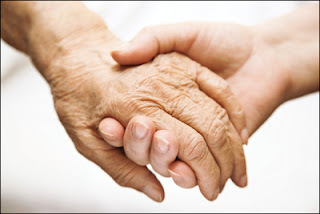 First I want to mention a great article at Living Strong called 5 Things You Need to Know About Changes in the Elderly. It's a great, concise list - some of which is mentioned in my personal experiences shared below. Mental changes - Whether considered sharp as a pistol "for their age" or struggling with the onset of dementia, everyone faces changes in their mental ability over time. The most obvious is that memory moves more slowly from short term to long term memory. This movement is what means we can remember things days, weeks or years later. As you age this process slows down and you hear and understand what someone says, but you don't always remember it later unless it is reinforced several times. I know my mom in particular was frustrated in her 80's that she would memorize something at night, have it down pat, and then get up in the morning to find she had to start all over. It also means it takes you longer to understand the meaning of what is being said and that you honestly don't realize you've told the same story ten times. The slowing of mental processes is normal for everyone as they age, but the degree of difficulty defines whether you just have trouble remembering or you experience serious issues. 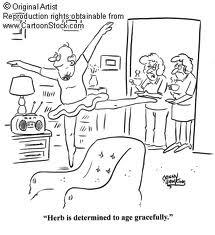 This can be a real problem for seniors when getting together with the extended family. The speed of conversation in a large group as everyone gets excited means many can't follow quickly enough to understand. Very isolating and not something to give them confidence. Hearing Loss - All you clubbers out there will not like this one. Yes, the hearing goes as you get older and yes, being exposed to loud noises over an extended period of time accelerates this process. There is also hearing loss related to the aging process itself called Presbycusis. The reason most seniors deny they have hearing loss is that one tends to initially lose hearing in a specific range first. Anyone who's voice falls in that range will be hard to understand and everyone else will be fine. Another issue is the cacophony found in large group gatherings, especially if you are normally in a quiet environment, can also make following conversations impossible. 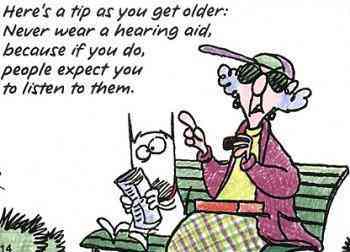 If you have a hearing aid it's a double whammy. Also the with the speed you process information declining as you age, sometimes it's impossible for a senior to follow the racing conversation common in a group including lots on younger people. 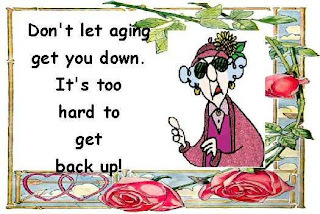 So have pity on that older friend/relative sitting with a smile plastered on their face. They may just want to fit in and really be struggling to follow and be a part of what is happening. Physical Changes - Genetics and life go hand in hand here. If anyone ever told me that injury in my 20's would haunt me later, I would have scoffed. Unfortunately it's true. 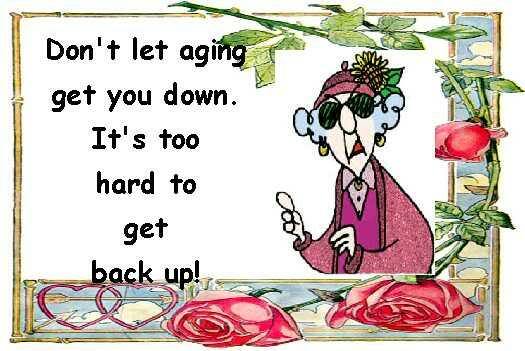 So keeping up with the world as you age becomes a challenge. We are all used to storming ahead from experience to commitment to fun. We can hardly tolerate our own personal limitations when they come along, so it's hard to have patience when others slow us down. Loss of muscle, decreased balance, painful joints, disease and more can be difficult things for those aging to deal with, especially if family and friends do not make allowances. I know one of my friends who was in serious pain for an extended period was told by her family to just quit whining - not a very effective treatment. A little sympathy can go a long way to ease someone's suffering. Remember, you never know what your future will hold. Hints - Spending time with a friend or relative who is getting on in years means slowing down the pace and finding quiet spaces that are more conducive to meaningful conversation. It means caring enough to listen to that same story again even if it's the tenth telling. As our speed of life increases on almost a daily basis, I worry about how I will be perceived in the coming years. Will my family and friends have patience when dealing with the changes I am going through? My commitment today was to spend it with one aging friend. We had a late breakfast, I took her to run errands, popped her into to a quick hospital appointment and then took her home. Hopefully when my time comes I will find someone to do the same for me.